표 | 지금 이 사례 | 오른쪽 맞춤 —: , 가운데 맞춤 :—: 도 된다. 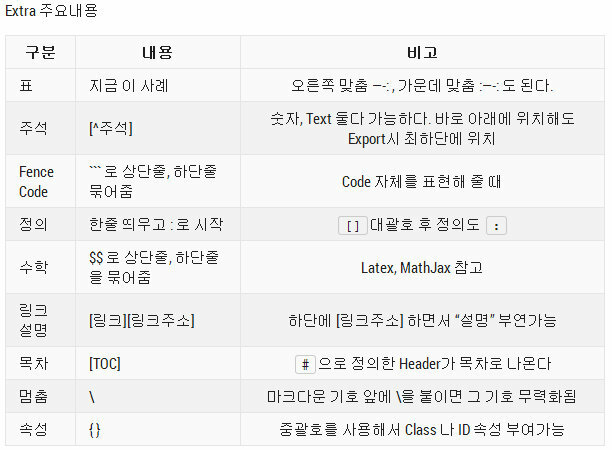 MarkDown Tutorial 기초 | #eWord. 글쓰기 도구 WriteMonkey 제대로 알기 via @Seoulrain | #eWord. MarkDown 글쓰기 @haroopad | #eWord.